Adding new equipment to your operation may seem like a significant capital expenditure and investment of time in searching for and identifying the optimal machine. How fast will you see your ROI? 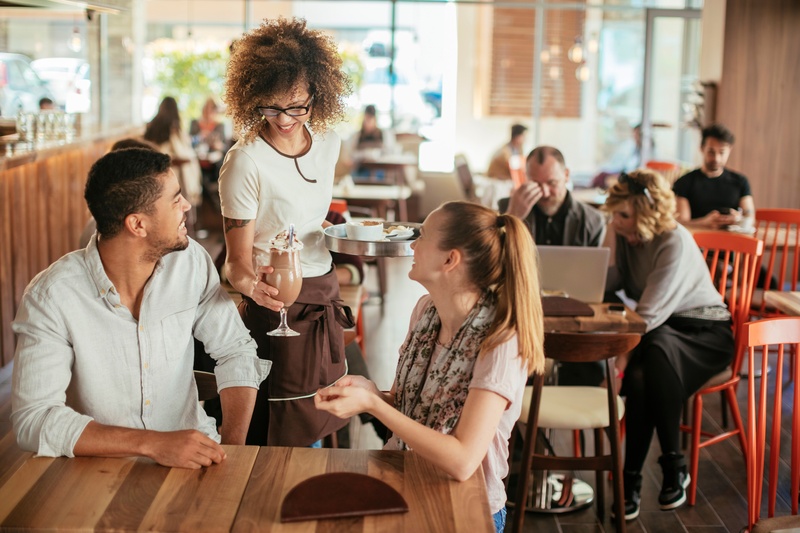 Will you need additional employees to operate your new frozen beverage program? How much time will maintenance of the machines take each day? Will I have enough space? Will your customers enjoy the product? The answers to these questions are very simple and why so many operators are turning to commercial frozen drink machines to pour on the profits. When it comes to calculating your “pour cost”, how much you have to invest in order to efficiently pour and serve one frozen drink, here are some considerations. After your beverage equipment purchase, your largest expense will be your syrup/drink mix and packaging (cups, lids and straw), which total to less than 30 cents per drink. Depending on your location, water and electricity costs are minimal. In total, operators can expect to spend 27-30 cents on a single drink, roughly 12% of the retail price. 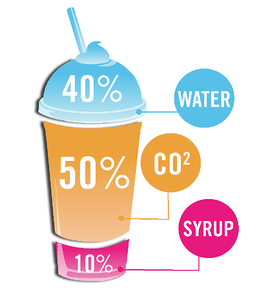 Here’s an example of the average cost of one frozen beverage*. Frozen drinks have always been a popular item. From snow cones to slushes, ICEE’s to milkshakes, frozen drinks are specialty beverages that customers don’t mind splurging on. Operators can sell frozen beverages as a premium item, raising the price compared to regular fountain drinks. 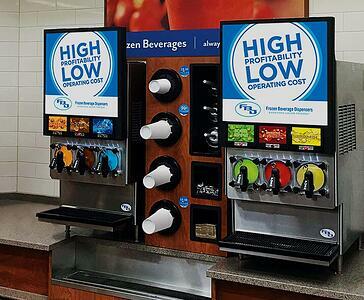 In fact, frozen drink stations yield a 20% higher profit margin than fountain drink dispensers. Another great part of frozen drink programs is flavor versatility. 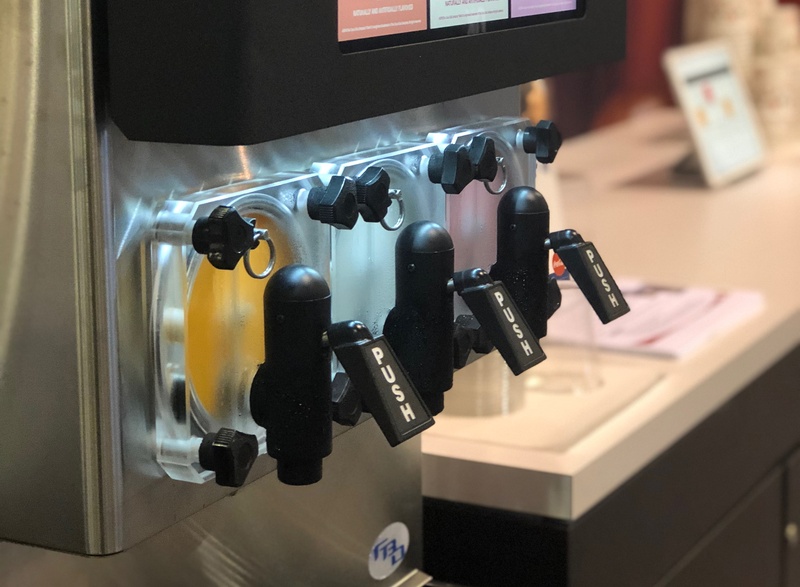 The few ingredients required for a frozen drink machine give operators the flexibility to change flavors as customer demands change. Beverage distributors sell millions upon millions of cases of frozen beverage syrup, including classic flavors, such as strawberry, chocolate and vanilla, exotic fruits, coffee, and alcoholic options. Let’s talk about your employees. The wonderful thing about frozen beverage machines is that they are nearly self-sufficient. Aside from occasional cleaning (more frequent if your machine contains dairy products) and syrup refills, frozen beverage equipment is engineered to pour large batches of frozen drinks with minimal employee involvement. Some operators have their equipment behind the counter, but most frozen beverage machines are designed to be consumer friendly. Grab your cup, pour your drink and go! If you are not yet convinced to invest in the frozen beverage industry, it might be because you are contemplating where to put your frozen beverage machine. Space is limited for many operators, so any addition to the business needs to guarantee profits. Most frozen drink dispensers can fit on countertops or come equipped with a cart. The smallest frozen beverage dispenser on the market has a base of 24.6 inches by 15.8 inches, making it convenient for everyone. A frozen drink machine allows operators to sell specialty drinks more efficiently and with minimal maintenance and upkeep. 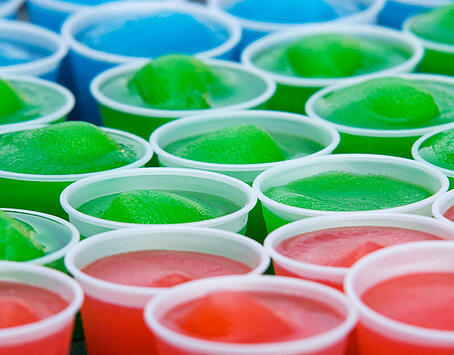 The consistent demand for frozen drinks can almost guarantee a speedy return on investment. In some cases, a frozen beverage machine can pay for itself in as little as 6 months! Click to explore the highest rated frozen beverage machines.